I generally don’t advise of smaller upgradeable solar systems as the payback period after installing more panels on the roof at a later date gets blown out pretty hard. Also at the present time we have the retailers purchasing our excess power, and the Labor Government in QLD now looking seriously at increasing their mandatory purchase price back up from 0c to perhaps 8c or more again – it’s pretty good. Even someone with a power bill of just $550 per quarter (18kws usage roughly a day) at the present time, was using 50% during the day and 50% at night time, and bought a premium 6kw system (Jinko panels and SMA inverter for $5900. The payback would look like this. Calculations now upgraded for 2019! In April 2019 we revisited this website and have updated the calculation from 2015 to what is current in 2019. So that is a premium 6kw system using quality Jinko solar panels and Euoropean 5kw Fronius inverter purchased for $5900 / $2197.3 per year = 2.68 year payback on only a $550 quarterly bill IF the value of the electricity you were to generate remained the same! However we know with inflation, of course that isn’t going to be the case. This then takes the true payback period of the Premium Quality 6kw solar system to around the 2.2 year period. Imagine if you bought a 6.6kw solar system for just $4200! Also, I haven’t even touched on the subject of ‘will there or won’t there be STC’s around when it comes time to ‘upgrade the solar system?’ – This meaning that you may have to pay full price for the second lot of solar panels, as there is talk of phasing out the Small-scale Technology Certificate contribution at a later date. Your extra 2kw of panels could quite possibly cost more than the initial 3kw of panels with the 5kw inverter! What happens if you attempt to upgrade the system and compatible solar panels are no longer available? We see this one happen all the time, people calling us up and asking for quotes to ‘upgrade their solar system’ and add additional solar panels to it. 250 watt polycrystalline panels are now the flavour of the season. Our wholesalers and us are no longer stocking 250 watt Monocrystalline solar panels. Trying to source 190 watt Monocrystalline Solar panels is hard work – 190 watt solar panels are now ancient and near extinct. We just cannot match any panel with any other panel. We wish it was that simple! This is exactly what has happened 16th July 2012. Changes here meant that any upgradeable solar system that was installed prior to July 2012 had to be basically re-installed when it came around to additional panels being added after this date. Simply put, the initial installation had to be bought up to scratch (satisfying the criteria for the updated guidelines) unexpectedly costing the customer hundreds of dollars more. The only company offering ‘upgradeable solar systems’ these days that we know of is True Value Solar. TVS always has their ‘lowest price ever’ ad on TV, and always seem to be offering an upgradeable solar system to purchase at the lowest price ever. The idea of an upgradeable solar system sounds great, but when you closely look into it, it’s really not that good of an idea at all, is it? Are Solar Batteries worth it in Australia? Decisions, decisions, Tesla Powerwall or the LG Chem? I say neither. Why are batteries for solar not good? They are so expensive to buy and install in 2016, around $10,000 and all you get is a battery that hold around 7kw/hrs, and they get worse and deteriorate from day one. The ROI (Return On Investment) on batteries is not even outlasting the warranty on these things. 7kw of stored energy @ 26cents purchase price per KW/hr = $1.82 saved per day. That sure ain’t a lot of return per day, on the best possible scenario! Just because many solar companies are out there actively promoting solar power storage and batteries for solar power systems in Brisbane doesn’t make them a good thing. It just means they are selling batteries for solar systems. Solar companies are selling batteries to make money. Money goes hand-in-hand with greed. You only get that $1.82 per day if you actually produce enough power to fill the battery up – AND USE IT ALL! 3kw of energy stored, used to power appliances and Reverse system at night @ 26 cents = .78 cents. Then we also run into another problem, what about the scenario where the battery actually all fills up. This is a situation where the solar panels and solar battery are functioning perfectly and come Sundown you have yourself 7kw of bottled energy you harvested from the sun, all that ‘free energy’ to use. But, your flight for a week-long get away in Sydney to catch up with the extended family, leaves tonight – All that clean energy harvested from the sun going to waste. But hey, you can still brag to the knob you live to next door that your solar system has a battery attached – or does that make you the knob? Haha! Also, you can sell the power for 6-10cents (6 cents with AGL, 8 Cents with Origin and 10 cents with Click Energy) without even having to buy batteries, so that automatically devalues your energy saved by over a whopping 33%. Put simply, you haven’t saved 7kw’s of energy worth 26 cents, it’s only worth 16cents, as you are already getting up to 10cents for your power exported to the grid! Like any battery – they can explode. with explosions, come fire. Houses and fire are not a good match. The truth is solar and batteries haven’t been around very long at all, they are a very new concept and we cannot comment on the safety of solar batteries that are on offer and sold in Australia at the moment. It would be safe to say that you minimize the risk of a house fire by not installing a 7kw battery in your home. Could installing a solar battery contribute to an event that would see the Fire Brigade attend to your solar system in the case of an emergency? How good are the Warranties for Solar Batteries? The warranties for solar batteries at the moment are not very good – They are not even lasting until the customers Return on Investment! For Example the most commonly talked about solar battery for home storage is the Tesla Powerwall – This battery storage system has a warranty period of 10 years in Australia. We don’t even know yet how good the batteries last. Do they last 20 years? Do they only last 5 years in actual fact? Are the Solar battery Manufacturing customers coming to the party with warranty claims? Just too many uncertainties around batteries for solar systems, and a non-existent Return on Investment that leaves only the mathematically challenged or full-blown ‘Green Energy nerds’ buying batteries in 2016. I’m not against anyone buying batteries, just as long as they fully install the benefits Vs non-benefits when it comes to installing batteries on their home solar system. Does Qld Solar and Lighting sell and install battery storage? Yes and no. We do have the ability to install batteries, but we are not so skilled at Sales, that we can sell a battery system to the average household in Brisbane. It would be literally like selling Ice-to-Eskimo’s. If you do insist on buying batteries from us, we would make you sign a waiver form agreeing that you bought the batteries for your PV Solar system, totally against our advice. Even Choice magazine have got it right (for once) about the viability of these solar batteries. Beyond Building Energy was a solar power company that had many offices in Brisbane and the Gold Coast. This company was known for selling very cheap solar power systems. So cheap that it effectively would bring Beyond Building Energy into receivership and liquidation. We here, at Queensland Solar and Lighting have had many phone call and email enquiries asking us if we help out beyond building energy solar power customers with their not-working solar inverters and faulty solar panels. Beyond Building Energy was known for not only installing Sunny Roo solar inverters, but also being so involved that we are led to believe that they were the main distributors of the Sunny Roo inverters and received thousands of these dodgy solar inverters in large shipment quantities from China. The sunny roo solar inverter is profusely known as one of the worst solar inverters to ever hit the Australian market. You can read about the sunny roo inverter here and also what to do if you need to replace your faulty sunny roo inverter or if you think that it is covered under warranty – which it definitely is not! The interesting thing about Beyond Building Energy and their warranties on all products and workmanship, is that they had the best in the business! When everyone was out offering their honest five-year inverter warranties and also standard five-year workmanship warranties, Beyond Building Energy was out there offering their ridiculous 10 year inverter warranty on what had proved to be a really bad piece of junk of a solar inverter. So now there are many customers who had solar panel systems installed in Brisbane and the Gold Coast by Beyond Building Energy who believe they still have their solar system covered under warranty by Beyond Building Energy. However, when they go searching on the Internet or ring the office number that was on the solar sales Representatives business card, they find that the phones are disconnected and emails that they are sending out to beyond building energy are just bouncing back! This just goes to show that in some cases the length of warranties or what they cover don’t mean a damn thing! The poor old Beyond Building Energy customers have no customer service phone number to call or contact and no one from Beyond Building Energy to give them a helping hand when in need. What do now that your BBE System is not working? So what we tell these disgruntled Beyond Building Energy solar customers is that all they can do is replace their Sunny Roo Inverter with a new inverter with full warranties while they are that, it is often advised, that they should really consider replacing those or performing and terribly built in manufactured 190 watt Monocrystalline panels. These systems were also not installed as well is customers may have like them to be. They were the work of some very ordinary early sub contract installations, and it is highly advised that any beyond building energy customer has their existing solar system thoroughly checked out by a current CEC approved solar installer. This is to make sure that everything remains safe and protect you against a possible solar panel calls house fire. We hope that you have better luck with your solar system than you have had with Beyond Building Energy. Do solar panels really add value to your home? The best answer to this question would be, “No, Not really”, however they can sway a buyer to prefer to buy your house on sale, rather than purchase a similar house that the buyer also really likes. The house that has solar panels installed would likely get the nod of approval as they buyer will see this as an immediate $5,000-10,000 that they will not have to spend. However, if Property Investment is something that you are interested in, We have a strong and impressive investment team who can help you get ahead. Whether it be with letting you know your borrowing capacity, Home Appraisal, Showing you new investment properties or helping you setup a SMSF. We have the team to help you. Solar panels – good value for the electricity bill payer while in the house, that’s about it. 75% of the installs we have been doing for the last 18 months are from people who have just bought an established house in the suburbs or others who call up and say, “Hi Qld Solar & Lighting, we are just about to finish building our new house in the new estate out the back of Brisbane and want a solar panel installation on the day, or few days after settlement!’ – These guys know that everyday they own a home without solar panels, is a day where they are simply wasting money. A few years ago (when solar panels were more expensive) I remember selling solar panels to cashed up Canberra public servants whose primary reason for installing solar panels on their home was to ‘increase the value of their home’. I’m not sure if installing solar panels ever did increase the value of a house or ever will. But I can certainly say, for the most part, they will never lower the value of a home and won’t be off-putting like a swimming pool can be – After all, EVERYONE wants cheaper electricity bills, don’t they? However a buyer would more likely appreciate a bigger solar system (5 or 6kw) installed on a house, and installed PROPERLY – No dodgy cable exposed – A nice neat install from a reputable installer and also would be more attractive if the solar system consisted of better known brands. For example, a house with a 6kw Sunpower panel / SMA inverter setup would be a great added fixture to come with the house, whereas an old 190watt x 8 panel Beyond Building install with a faulty Sunny Roo inverter would in fact be a burden and would more likely cost the new home owners more money in having it removed and replaced with a quality solar system that they would then have to source and have installed themselves. If you are wanting to install solar panels on a new home that you are either building or have recently purchased you might want to check out our solar systems pricing here. Or if you are ready to get a solar quote let us know here. With the growing prices of energy, leisure expenses such as heating swimming pools must be made efficient and one sure way to do that is Solar heating for swimming pools. You can extend your swimming season just by increasing the fun factor and value of your swimming pool by using simple means that will save you unnecessary cost and energy. With Solar heaters for swimming pool you can double the days of your swimming season. Solar heating for swimming pools are integrated in to a normal filter system. They work when the water is intercepted by the pool filter and is directed towards the solar collector and then at last flowing into the pool. When the water passes the solar collector it heats up considerably and then it is pumped and filtered. If your system has a temperature sensor, it can determine if the water is exactly how you want it by checking the ideal temperature. Why do you need solar heating for swimming pool? Solar heating for swimming pool will ensure that your pool is heated by harnessing free energy, which cost effective and environment friendly. Therefore, the cost of gas or electricity is saved. Your swimming season is extended to eight to ten months each year. The best of which is that it is triple the expected swimming time in a regular pool with no gas or extra electricity bills to pay. If you choose solar heating for swimming pool, the equipment is most likely to last for more time than electric equipment. Generally they come with ten years warranty and hence can last at least 10 to 20 years or more. Unlike with gas electric heaters the solar heating system don’t need to be serviced by technicians every once in a while. There are certain conditions that you follow while installing a solar heating for the swimming poolto get the maximum benefits of the heater. First you must have solar collectors large enough that they can soak up enough sunlight need for heating energy. The collector area will be dependent upon the size of the pool and the temperature of the water which will obviously depend on weather. Another element that is crucial while heating is the amount of shading on your pool as well as the direction in which the solar panels are set. When the filter pump is working efficiently there is no need to add a pump for the solar heater, as the existing pump will circulate the water through solar collectors.Solar heating for swimming pools can be completely automated by a properly designed heating solar system. There are automatic solar controls that will divert water to the panels and heat up to the temperature preset by you. Thus now days the solar heating system is not only cost effective and environmental friendly but easy to operate as well. Commercial Solar Power NSW – the Emerging Trend! So you want to know more about commercial solar power NSW? This blog is aimed to provide you just that! We Australians are lucky, blessed with gorgeous, round-the-year sunny weather. NSW is especially lucky that way. What this means is there’s enough sun in our skies to fuel commercial solar power NSW. Nothing, except that it is slightly exorbitant. Just check your ever increasing energy bills, and you are sure to agree. It’s also definitely not the most pro-green option lying around. No wonder than that even our government is enthused about exploring alternate sources of fuel and energy – be it solar power, hydro electric power, wind energy or bio energy. Whatever works for the environment and our pockets! That is where solar energy emerges the winner, storming the NSW market with commercial solar power NSW establishments. Solar power systems are flexible and economically viable for both residential and commercial markets. However, it becomes the recommended choice for commercial establishments with rising power consumptions. Most commercial offices cater to day jobs and hence it becomes ideal to use the freely available sunlight during this time to power your systems. Add to it the relatively hassle free setup that comes with a low maintenance promise and an acceptable warranty period, and you have yourself a winner! What make a good solar power system a great system? ü Initial setup cost and installation time. ü After sales-service reputation of the dealer and turn-around time on service calls. ü Quality of the solar panels used and knowledge within the service and technical teams. QLD Solar and Lighting scores high on these points! What you gain when choosing QLD Solar and Lighting for a commercial solar power NSW system? ü A tie-up with among the market leaders in solar power systems. ü A strong, reputed team with excellent knowledge of solar power options and QLD products. ü Top of line service with products featuring among the best in the Australian industry. ü Competitive pricing with a clear cost to benefit analysis, clearly outlining why investing in their commercial solar power NSW systems is worth your time and money. ü A sales, distribution and service network that is super fast, reliable and spread wide across Australia. What sweetens the deal is the support provided by the Australian government, often offering subsidies and rebates on solar power plans. With this, your choice or converting your commercial establishment to a solar powered one is guaranteed to result in a drastic cut in your energy bills! You can get started on your go-green journey supporting solar power systems, by calling 0411 348 400 or logging on to https://www.queenslandsolarandlighting.com/. An informed staff from QLD Solar and Lighting will support you on this journey to make the wise choice for your needs for commercial solar power NSW. We sort out the best Brisbane commercial solar power! Australia has in the recent years derived vast benefits by moving more and more towards renewable sources of energy. They have explored all options like Wind energy, Bio Mass, Bio Gas , Hydro electric and are investing in each of these areas. However for a land which gets sunshine throughout the year, harnessing the Solar energy to generate electricity is an excellent solution as an alternate source of energy. Government in Australia has come up with many rebates and benefits for those switching to solar energy sources to make it attractive for customers. With the advent of Brisbane Commercial Solar power in , not just residential but commercial facilities are also exploring the move towards installing Solar Systems in their buildings. Since the energy consumption in commercial buildings is much more, and with the year on year increase in electricity rates, it is proving very cost effective to harness the sun’s energy for generating electricity. Brisbane gets good amount of sunlight throughout the year, so the solar panels can generate a large amount of electricity to offset the electricity bill significantly. Advantages of going Solar for Brisbane Commercial solar power? 1. Because it is the best return on investment your business could possibly get! 2. Since the region is sunny the efficiency of conversion of sunlight into electricity is much higher. The price of solar systems has come down in Queensland, thus giving an excellent return on investment. With the increasing prices of electricity, installing solar panels is a great way to reduce the energy bills of commercial facilities. Since commercial work happens during the day, most of the energy consumption can be taken care of by the solar energy itself. Government offers buyback for the excess power generated and this can be a channel of generating revenue. QLD Solar and Lighting was established with the purpose of assisting Solar installations in Queensland and have been a very successful company here. They have many successful case studies of large solar system installations across Queensland in the commercial area. QLD offers its customers an affordable and a long lasting solution to move towards Solar. They make the customer aware of local tariffs and cost benefit analysis and what it entails to shift to Solar. While QLD started off in Queensland, now it has extended its footprint to cover other states in Australia and has a strong presence in Brisbane, Sydney, Victoria, Goldcoast and other regions. QLD Solar started off in Queensland and is a locally establish company so has an edge over other companies. They have a strong knowledge base and experience of many brands in Solar and can provide the best solutions for commercial solar system based on the requirements. Offer a strong Customer service locally for all complaints. Have a fast process from quoting to installing of Solar system to facilitate quick results. to get a free energy audit on your Business in Brisbane, or to consider installing a Brisbane commercial solar power system please give us a call for a free, friendly chat! In the recent years, Australia is encouraging more and more Brisbane commercial solar power and use of solar and other renewable sources of energy in residential and commercial both. The government offers rebates and subsidies for commercial enterprises which are going the solar way. Since Brisbane gets a lot of sunshine throughout the day and for most of the year, installing solar panels will give benefits throughout the year. Many commercial facilities are looking towards installing Solar panels on their rooftops, so that their electricity bills can get offset. They look for high efficiency panels which will be tolerant to temperature and pressure and give high efficiency output with low maintenance costs. Brisbane commercial solar power is installed all the time! We recently installed this Commercial solar power system in Sumner Park, Brisbane. This was a 10kw system using Luxpower Solar Panels and JFY 10kw Suntreei inverter. This is what it produced the very next day after installation! Reducing the electricity bill and thereby combating the growing energy rates. Moving to a source of energy which is reliable, green and renewable. Availing subsidies from the government as a part of special rebate schemes which it offers for companies which go the solar way. If excess solar energy is generated than can be used, the excess can be fed back into the grid. This will give credit points on the electricity bill that will lead to further reduction in bill. As most appliances run during the day, on sunny days most of the solar energy can offset the electricity needs. Solar water heaters can be used for water heating purposes, as hot water is a key consumer of energy, this will lead to significant savings. Though QLD Solar and Lighting started off as a Queensland company but they have a strong presence in all other regions and cities like Sydney, Victoria, South Wales and Brisbane commercial solar power too. QLD offers services across Solar panel and system installations in both residential as well as commercial buildings and give a cost effective solution to their customers.QLD deals in solar panels of all leading brands and only use the best quality products which give the highest efficiency output. QLD Solar and Lighting has an established presence in Brisbane and a network with all solar panels and is a strong distributer of all the top brands of Panels. QLD Offers a comprehensive design for its customers since they have a good view of the pros and cons of all the panels and know exactly what will work for the customer. QLD makes the whole process of moving to Solar very simple. You order a quote and within two weeks they finish installing the panels. QLD offers the services of expert technicians and specialists for all their installations who are experts in commercial solar installations. QLD uses the best products in their installations and offers long term warranty on performance and workmanship. 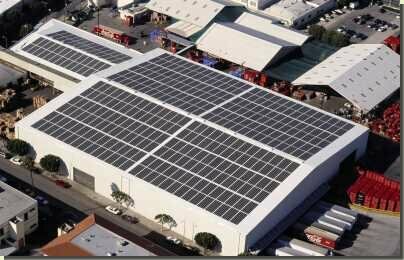 Call us now for some Brisbane commercial solar power! In its quest to reduce the dependency on fossil energy which is fast getting depleted and also to do its best towards protecting the environment, the Australian government is encouraging everyone to move towards Solar energy. In a sunny land like Australia, tapping the sun’s energy and using it to power homes is a great way of saving on electricity bills. There have been than a million homes which have opted to go the solar way and got panels installed. Sunshine Coast located in Queensland, as the name suggests has an abundance of sunshine all through the year. Residents here are making the shift towards solar energy to save on their energy bills. Substantial reduction in electricity bill by using the solar power generated to power the household appliances. Feeding back the excess generated into the grid and being eligible for credit programs, especially with Queensland having the best rate, its very lucrative to go solar. Depending on the size of the current energy bill and units consumed, it can actually be possible to have a solar system in place which can complete cover the current electricity consumption. Installing a reliable solar panel also ensures low maintenance costs and there are some with come with a performance warranty as high as 25 years. Getting a solar system installed is a very easy alternate as companies have a streamlined process in place for making the shift. QLD Solar and Lighting actually started its operations in Queensland where it established its base and then moved on to cover other states in Australia. They have a good network in Sunshine Coast and offer a complete Solar Solution offering here. By virtue of having started operations in Queensland, QLD has a well established base in the Sunshine Coast for their solar offerings. QLD has a comparison grid of all the top brands in Solar panel manufacturing and are able to take the best decision on suitability of panels for a Customer. They offer cost effective solutions to Customers and also give a detailed Analysis of pro’s and con’s of the panel installations along with calculations of pay back period. QLD has a team of technicians and electricians who are skilled in implementing the best panel solutions for their customers. They have a smooth process for installing panels within a two week framework. QLD analyses the current bill and then checks with solution will work best for the customer and give the maximum benefit on savings. So getting a Solar panel installed if you are in Sunshine Coast is as easy as going to the QLD site and placing a request for a Quote. Another great website that offers options for those wanting commercial solar power systems in Queensland can look at “Energex. “Energex” is a great website and a company because it allows its consumers to be able to look at the eligibility criteria. This is probably one of the most important things in installing a commercial solar power system. The reason is simple. One spends thousands of dollars on installing the solar panels and realising that the locations of these solar panels are wrong, or simply realising that they live in the wrong part of town will cause one to lose out on thousands of dollars. This eligibility criterion stops that from happening making commercial solar power systems in Queensland more efficient. Another thing that the consumers would like while opting for a commercial solar power system from Energex is that it awards rewards for all its customers. It has rewards and tariffs allowing the customers to save a lot of money. It also has tips on saving money, especially with swimming pools which do not need to be on all day. Energex also offers a lot of safety advice, which is far more important than any of its other features as it is preparing its consumers of all sorts of disasters. This allows the customers to prepare well for any sort of a scenario which allows them to avail the best parts of this commercial solar power system in Queensland. These are just two of the many options consumers have. These are two of the best, offering their customers the best services, while maintaining a great customer base and helping the environment along the way. The availability of commercial solar power systems in Queensland has become better because of these two and all the similar companies giving the residents of Queensland opportunities and options beyond their dreams. Solar power has been around for a long time but commercial solar power Brisbane has just started appearing. There are many different companies such as Qcells and Trina all ready to offer their services to anyone with the guts to take this leap of faith in helping the world be a better place. With so many different companies to choose from though, the decision process takes long enough to deflect the interest away from solar power for the consumers living the fast paced life in Brisbane. Welcome to QLD Solar and Lighting. We are an established company, our website isd the best solar panel providers in Brisbane, to make all the information available at the click of a button. It is a super simple website to use which has the contact information of all of these major providers as well as a link to their respective websites as well. The best thing about this company is that it makes the commercial solar power dream only a click away. A special feature it has s the FAQs section. Not only does it answer the most basics of questions, it also allows an individual to make a sound and informed decision without the hassle of a third party, who not only will affect the way one makes a decision but also they might not be the most informed people themselves. One aspect of solar power production that the run-on-the-mill solar power consumer would not know about is “feed in tarrif” where by a producer of solar power can connect it to the local grid and provide electricity for the neighbourhood, and earn money while doing so. It is a great initiative taken by the government that also makes commercial solar power in Brisbane. Commercial solar power was once a dream only the rich could have but now everyone can just close their eyes, or in this case click a button, and off they go dreaming. The website is made such that every small detail, right from the equipment used in a solar panel to questioning what happens on cloudy days, is answered on their website. What more, it also provides special offers to the consumers so they can avail this very expensive system for a little less, making it seem appealing to all. Qld Solar and Lighting offers its services in many locations other than commercial solar power Brisbane such as the Sunshine Coast or Gympie. It is truly a great website, allowing the consumers to make a valid, informed decision that not only attracts many people to buying solar panels for their homes but also make commercial solar power for all of the city, with opportunities to connect to the girl and do their it to give back to the industry that gave them all the electricity when they wanted. Are you looking at getting Commercial Solar Power Systems for your business? Good news. We will definitely be able to help you. One of the many Commercial Solar Power systems we have installed in the Brisbane and Gold Coast region. Queensland Solar and Lighting will have a solar consultant visit your site, study and heavily research your business’s power consumption, explain your peak-demand charge. Also make check’s with Energex or Ergon to properly measure your site’s power usage. This is all done in a timely and professional manner to ensure we have your business saving as much as possible. Our Solar consultants will ensure you will have the pick of the commercial solar power systems on offer. We will tailor-make to suit your exact needs. There are also many other benefits of commercial solar power systems being purchased by small businesses, large businesses, or wacking a job up on your local Bunnings Warehouse. There are many advantages to the purchase of a solar system when it comes to Tax-time. We recommend you have a chat to your accountant in regards to this or click here. There is depreciation to be claimed on the panels and inverters. Commercial Solar Power Systems paired with correct install of LED replacement lighting for your business is really the solution you are looking for. We can get the return of investment down to below 2 years for some businesses. For most, under 3 years! Couple this together with our financial commercial leasing program with our in-house finance, and we will see interest rates well under 7% per annum. A highly profitable positively geared endeavour. We offer Commercial Solar Power Systems in ALL SIZES, from 6kw for your home-business, 10kw, 20kw, 40kw. Anything. We have installed many solar system sizes up to 50kw. We currently have a commercial solar system designs pending with Ergon and Energex for jobs over 100kw. Wow! We are happy to design a good quality budget system for you, or an all-out complete German Solar System complete with Bluetooth Wireless monitoring. Sunnyboy Tripower. Whatever is needed, we have it all for you. Call us ff you are looking to bring your business’s utility bills in-line with your competitiors in the year 2014. We are happy to give a free quote and showcase our commercial solar power systems we can offer you. Here is a Commercial Solar Power Systems being installed in Perth by a local solar company. They look to have done a great job too! – We also have installed for many schools in the region.